Lockheed Martin commemorates 4,500 F-16 fighter aircraft deliveries. 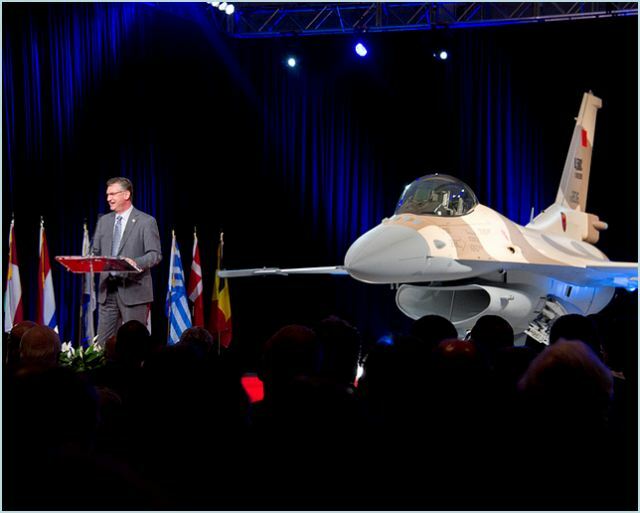 On Tuesday, April 3, 2012, Lockheed Martin celebrated the 4,500th F-16 delivery in Fort Worth, Texas. The F-16 is recognized as the world’s most successful modern-day fighter. Since the F-16’s first production orders in 1975, it has been produced in partnership with five countries and has been selected as the front-line fighter for 26 nations. The 4,500th F-16 is an advanced Block 52 aircraft destined for Morocco. “The F-16 is the world standard for evolutionary fighters today, and it will continue to secure the freedom of the United States and its allies in peace and combat for decades to come. This milestone demonstrates that Lockheed Martin has the finest aerospace workforce, and it is our privilege to serve air forces worldwide,” said Larry Lawson, executive vice president of Lockheed Martin’s Aeronautics business area. The F-16 program has been characterized by unprecedented international cooperation among governments, air forces and aerospace industries. The current F-16 backlog includes aircraft production for Turkey, Morocco, Egypt, Oman and Iraq.